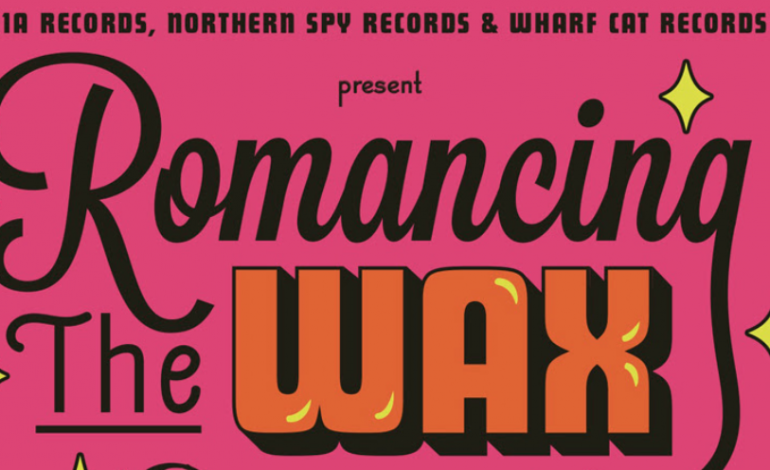 11A Records, Northern Spy Records, and Wharf Cat Records are teaming up to throw a rowdy day party for SXSW 2018! 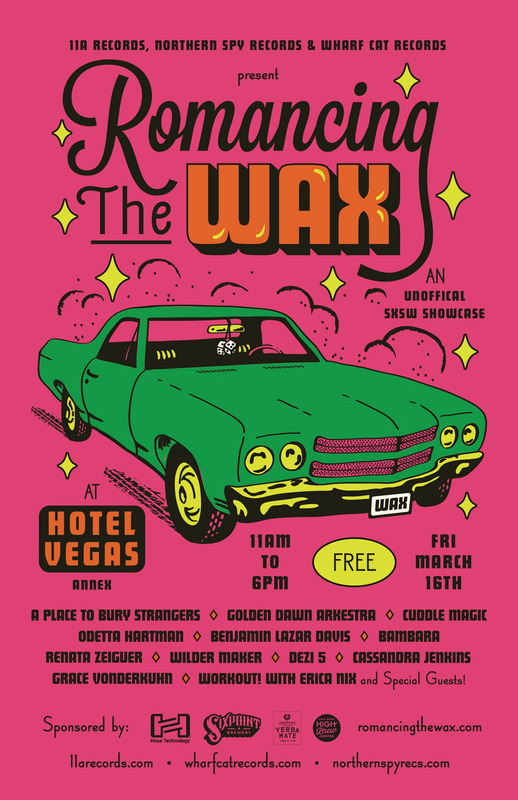 Romancing the Wax will take place at Austin east side hotspot Hotel Vegas – east of downtown but basically the center of the east side scene. The party energy starts 11 am Friday, March 16th with a Workout! with Erica Nix, then jumps right into their eleven-band lineup featuring psych-folk Odetta Hartman, dream pop Benjamin Lazar Davis, Brooklyn atmospheric rock trio A Place To Bury Strangers, Austin’s own extravagant “psychedelic Texas cult” Golden Dawn Arkestra, and many more! Read on for the full lineup, event details, and the link to RSVP for free entry! a lineup very befitting Hotel Vegas for you out-of-towners who might not be aware. After Workout! with Erica Nix at 11 am Dallas glam R&B act Dezi 5 goes on at 12 noon with his mix of classic slow jams and upbeat tunes, indie rock Grace Vonderkuhn plays at 12:30pm, Cassandra Jenkins at 1pm, Renata Zeiguer at 1:30pm, Wilder Maker at 2:30pm, A Place to Bury Strangers at 3pm, Brooklyn noise rock trio Bambara at 3:30pm, Benjamin Lazar Davis at 4pm, Cuddle Magic at 4:30pm, Odetta Hartman at 5pm, and local loves Golden Dawn Arkestra for the grand finale at 5:30pm. Those familiar with their shows know it’ll be quite the finale as well – see y’all there!